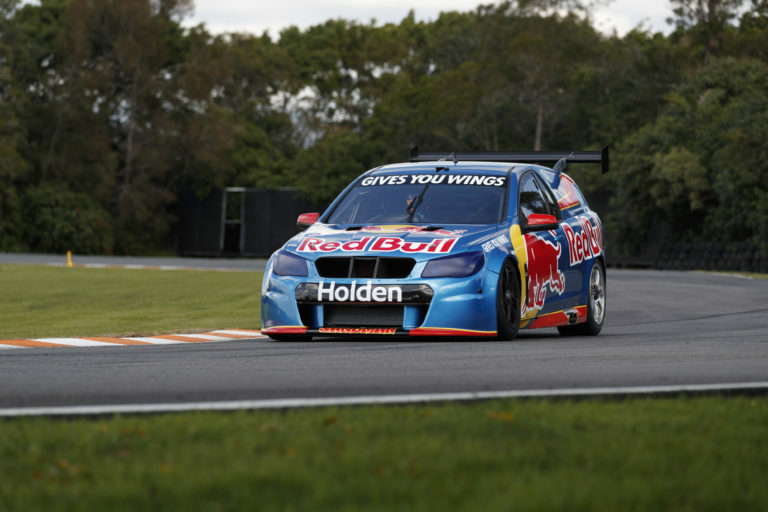 Holden’s V6 turbo Supercars engine is scheduled to cut its first public laps at this year’s Supercheap Auto Bathurst 1000. The 3.6 litre twin-turbo engine being developed by Triple Eight and GM Racing has undergone private testing aboard the team’s Sandman ride car in recent months. Following the release of video showcasing the engine sound last month, the team is aiming to give fans at Bathurst the chance to hear the Sandman V6 in person. “That’s the plan," Triple Eight boss Roland Dane told Supercars.com. "It’s 95 percent certain, we’re just sorting out some of the details at the moment." A series of short demonstration runs are scheduled throughout the four-day event program. Holden legend Greg Murphy, who has four Bathurst wins to his name, has been touted as a potential driver. “We’re still weighing up all the options. There’s no shortage of volunteers,” Dane said. Triple Eight announced in June intentions to race the V6 turbo as a wildcard in selected events next season. It has already tested in the Sandman at both Norwell and Queensland Raceway, where it took part in a ride day following the Coates Hire Ipswich SuperSprint. The team is also working to design and homologate the new ZB Commodore body shape which it will debut with V8 power at next year’s season-opening Adelaide 500. This year marks the 25th anniversary of the last time a turbocharged car won the Bathurst 1000. Mark Skaife and Jim Richards scored a second straight victory aboard a Nissan's GT-R after crashing in wet conditions moments prior to red flags being called.